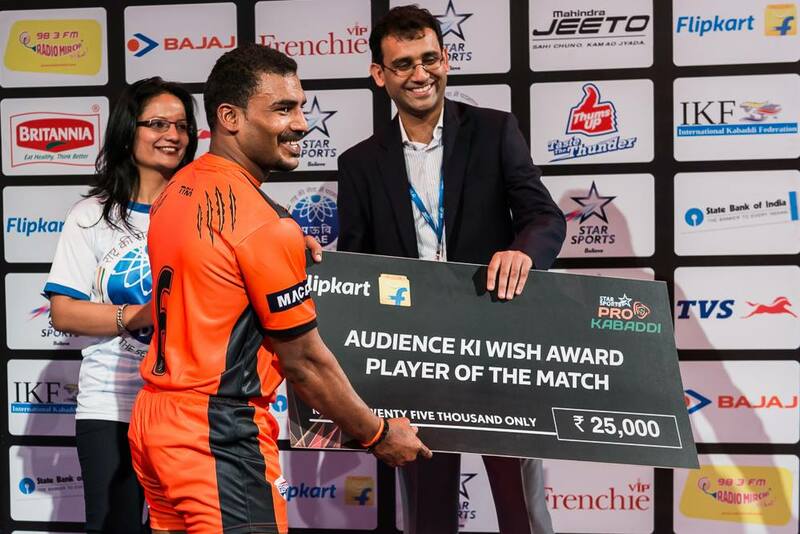 The super defender Jeeva Kumar U Mumba PRO Kabbadi Team has won the title of ‘Nise Gel Most Effective Player’ of the game! during the match with Jaipur Pink Panthers. The U Mumba team won the match by 1 point. It was a nail biting moment at the end. He also played for big clubs in Tamil Nadu and Karnataka. Also in SAFF and ASIAN Games. Nagercoilinfo.com wishing him a great success.